Farrar, Straus and Giroux, 9780374162573, 288pp. Rory Hendrix is the least likely of Girl Scouts. She hasn't got a troop or even a badge to call her own. But she's checked the "Handbook "out from the elementary school library so many times that her name fills all the lines on the card, and she pores over its surreal advice (Uniforms, disposing of outgrown; The Right Use of Your Body; Finding Your Way When Lost) for tips to get off the Calle: that is, the Calle de las Flores, the Reno trailer park where she lives with her mother, Jo, the sweet-faced, hard-luck bartender at the Truck Stop. Rory's been told that she is one of the "third-generation bastards surely on the road to whoredom." But she's determined to prove the county and her own family wrong. Brash, sassy, vulnerable, wise, and terrified, she struggles with her mother's habit of trusting the wrong men, and the mixed blessing of being too smart for her own good. From diary entries, social workers' reports, half-recalled memories, arrest records, family lore, Supreme Court opinions, and her grandmother's letters, Rory crafts a devastating collage that shows us her world even as she searches for the way out of it. 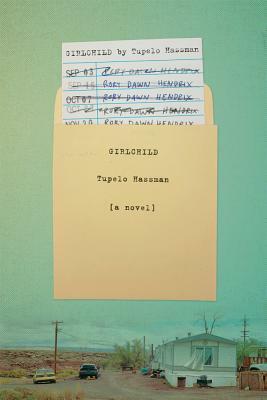 Tupelo Hassman's "Girlchild "is a heart-stopping and original debut. Tupelo Hassman graduated from Columbia's MFA program. Her writing has been published in the "Portland Review Literary Journal," "Paper Street Press," "Tantalum," "We Still Like," and "Zyzzyva," and by 100 Word Story, Five Chapters.com, and Invisible City Audio Tours.